In addition, the track has also achieved an ‘All-Kill’ status on Spotify charts across Asia. 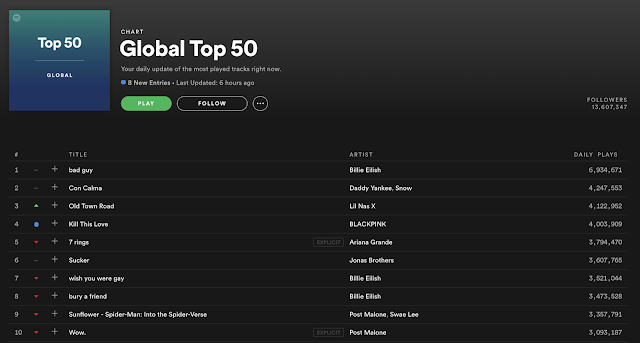 All-Kill, of course, is the most-coveted K-Pop prize there is, where a K-Pop single dominates across all charts at the same time. 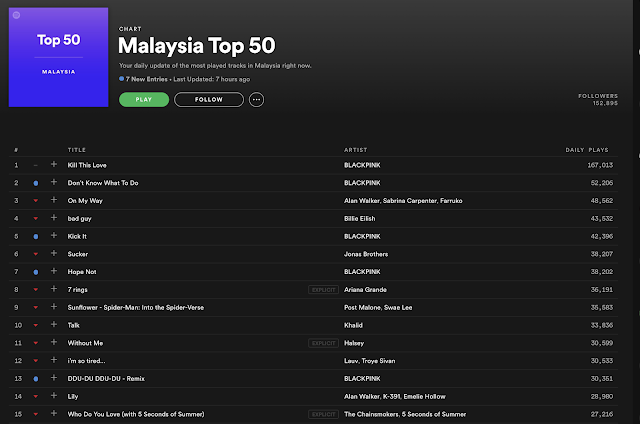 ‘Kill This Love’ is #1 across all of Spotify’s Top 50 Charts in Asia including Malaysia, Singapore, Indonesia, the Philippines, Taiwan, Hong Kong, Thailand and Vietnam. Globally, the single has also appeared in a total of 30 Spotify Top 50 Charts around the world. 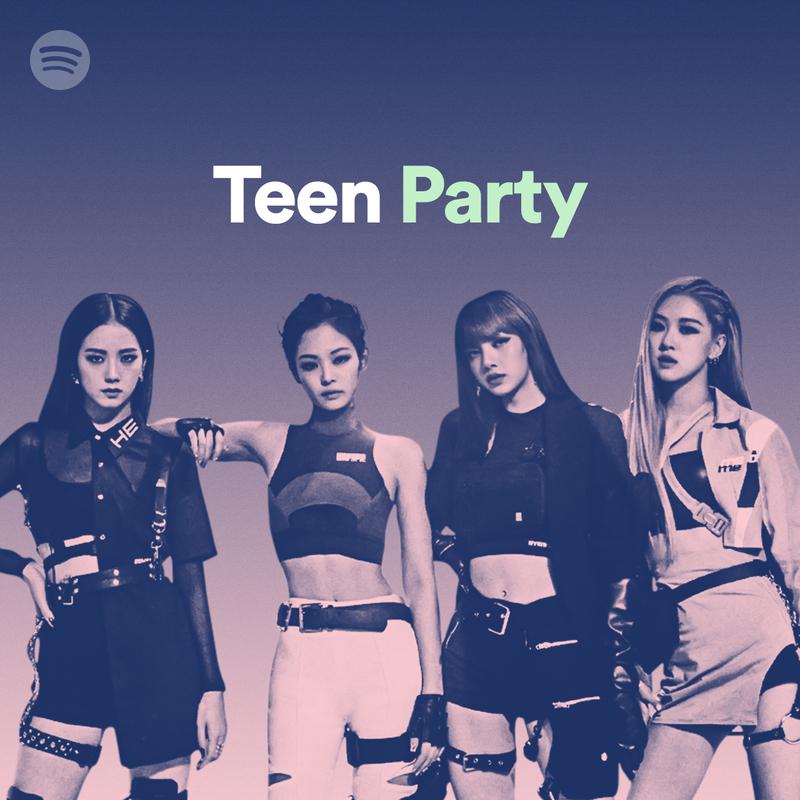 Be sure to follow @SpotifyKDaebak, Spotify’s dedicated K-Pop channel on Twitter, for more exciting BLACKPINK treats to come!